Unique Educational Activity Templates for crafts, activities, decor, and much more! Versatile, Fun, and Easy. 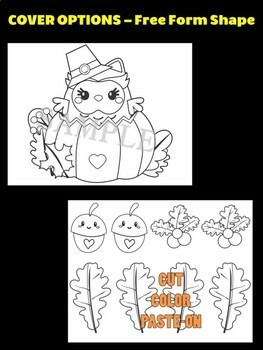 Great to use in conjunction with lessons, special units, seasonal lessons, literature time, or as a fun time craftivity. 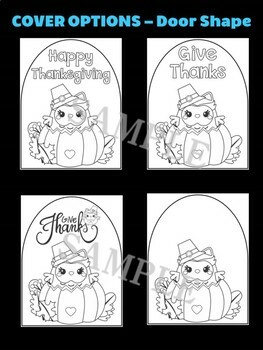 Cute and simple whether you want to do a writing craft or color/cut/paste project, or both! Mount these on your bulletin board to make your classroom shine and let students show off what they learned, their creativity, and writing! ** Editable Versions (PPT) Included ** Add your own Titles, Names, and Info! 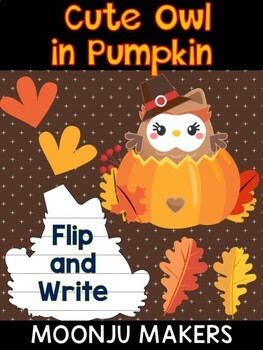 ❤ FLIP AND WRITE: Print the template, color, cut, and paste or staple the pages together at the top! ❤ DECOR: Color, Cut, and Decorate your classroom! - PDF: Just Print and Go! - PPT: Editable in Powerpoint. Input your own text and titles! **Please look at preview for details. 9. 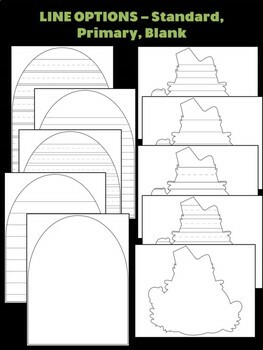 Blank - for coloring, drawing, and pasting.